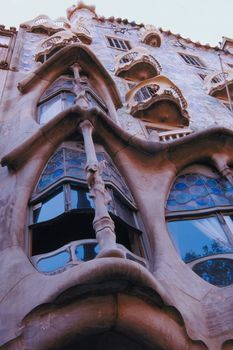 The Catalonian city of Barcelona is one of the most popular tourist destinations in the world. Its beautiful old town, beaches and architecture give it a huge appeal for holidaymakers. However, a recent survey has found that visitors to the city rate it above Paris, Rome and Amsterdam as the number one destination where you’re likely to fall foul of a holiday scam. These scams take the shape of overcharging in taxis and pickpockets and 80% of Britons asked said they feel guests from the country are deliberately targeted when in the city. The city has long been known as a centre for pick pocketing, with many guides and official information telling you to keep an eye on your belongings and be careful when out and about. The famous Las Ramblas is a particular hot spot for such activity. Paris has also reported a recent surge in such activity and earlier this year, four Brits were charged around £54 for ice cream in the Italian capital, forcing the city’s mayor to issue an apology. The National Fraud Intelligence Bureau estimates that each year British holidaymakers are swindled out of £1.5 million and 7% of Brits have been cheated out of some money over the past two years, either by direct crime or through bad exchange rates and wi-fi charges in hotels. A spokesman for Generator Hostels, who commissioned the survey said: “It’s great to get caught up in a new culture and experience the world from a new perspective, but sometimes that excitement or lack of local knowledge can make us more open to scams or paying too much for things.” Other cities that made it into the top ten included Madrid, Istanbul, Venice, Prague. So, if you’re going to any of those places then it’s a good idea to get the very best travel insurance for your break.